Cindy received her MBA from Grand Canyon University. Prior to joining The New Foundation, as the President/CEO in January 2017, Cindy served as the CEO of the Southwest Center for HIV/AIDS from 2014 to 2016. From 1998 to 2013 Cindy was Vice President of the John C. Lincoln Health Network and Executive Director of Desert Mission Neighborhood Renewal and Desert Mission (two separate non-profit corporations). At Desert Mission, she worked to bring affordable homes to the community and had oversight of Desert Mission programs, including a nationally-accredited early childhood learning center, a children’s dental clinic, a community health center, a food bank, an adult day program. 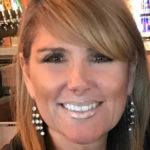 Cindy currently serves on the board of VALLEYLIFE, Andy Hull Sunshine Foundation and chairs the Phoenix North Regional council for First Things First. Cindy has always had a passion for championing education for young children and their families to give them a solid foundation for their future growth and happiness. She is an enthusiastic leader, knowledgeable in program development, grants management, the securing of resources, and is committed to helping individuals improve their quality of life through education, skills development and asset building.